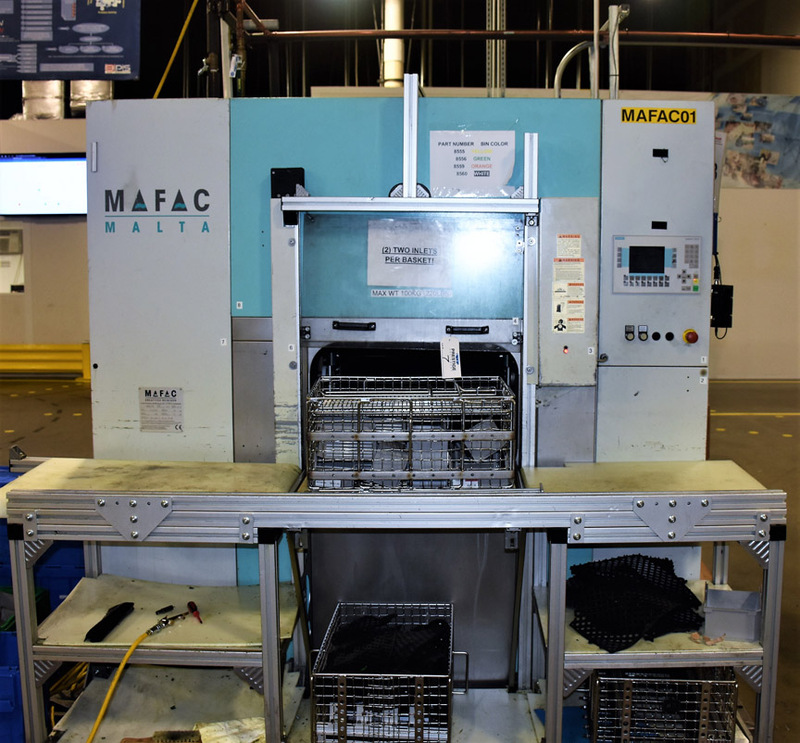 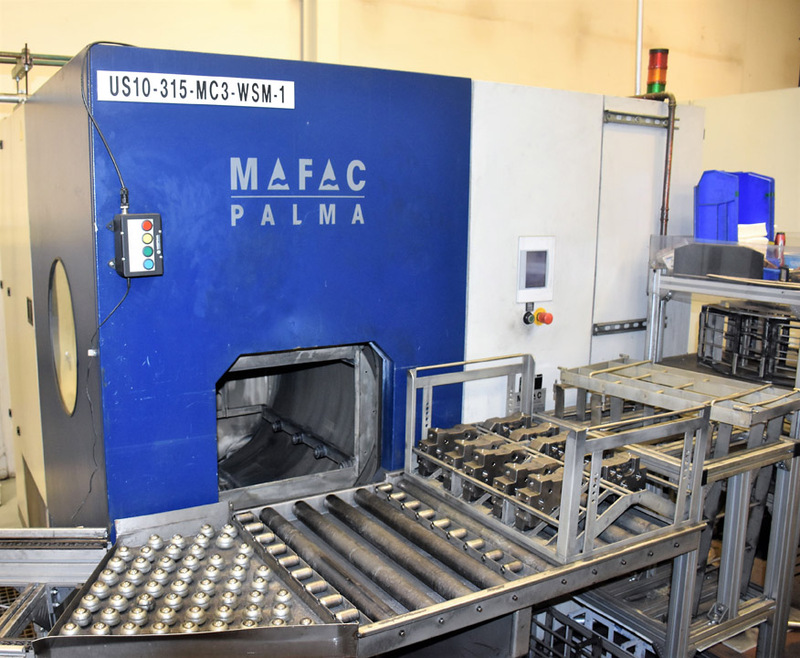 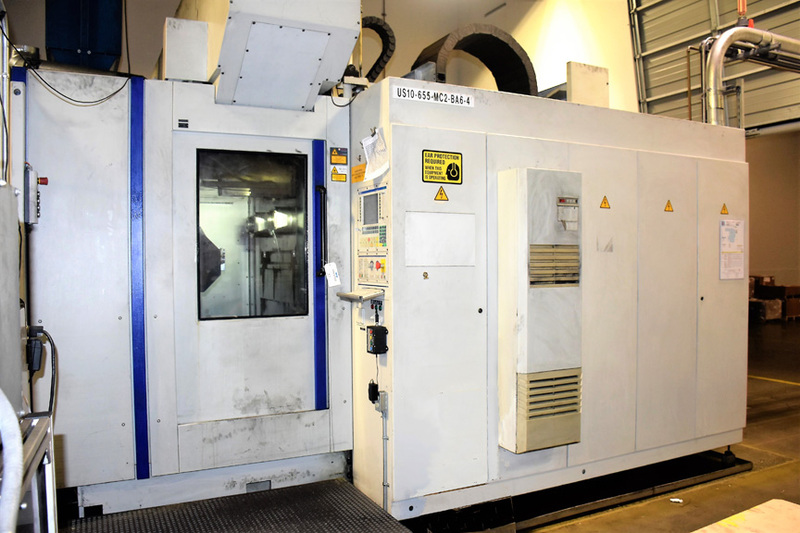 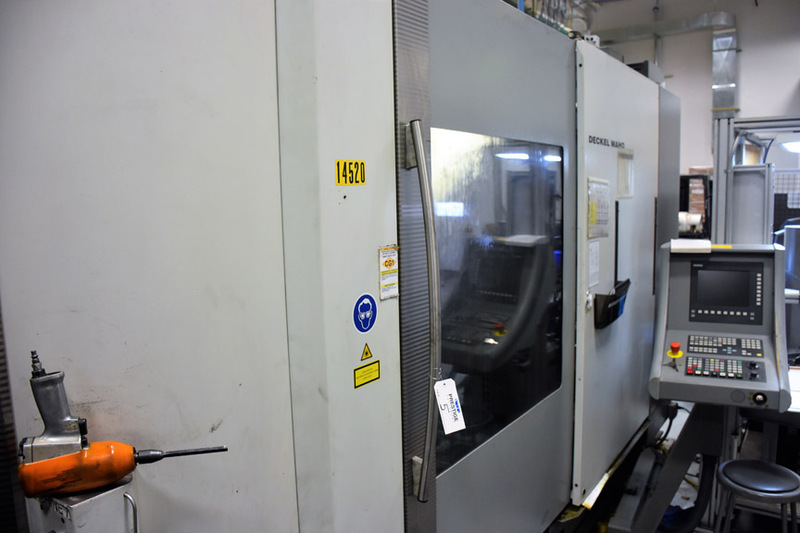 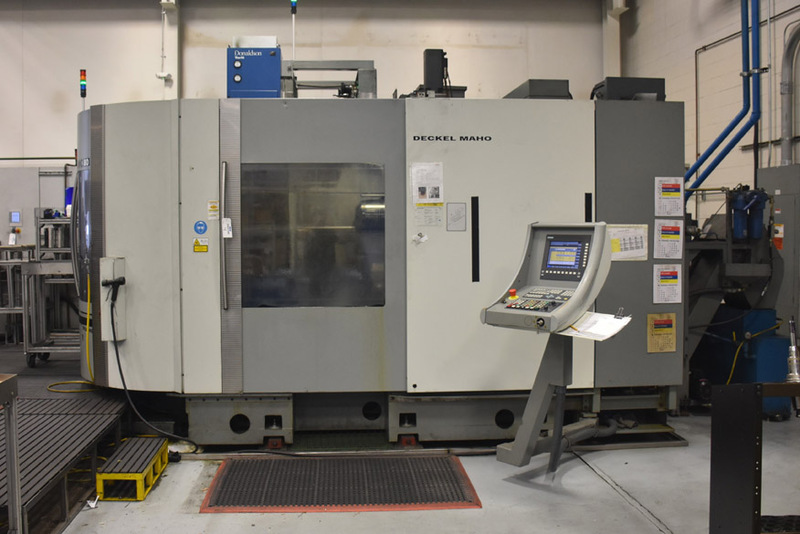 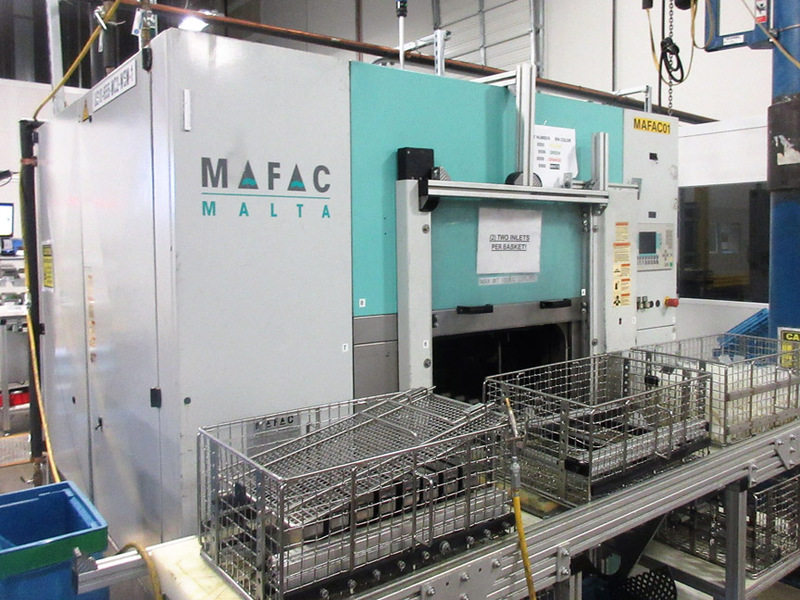 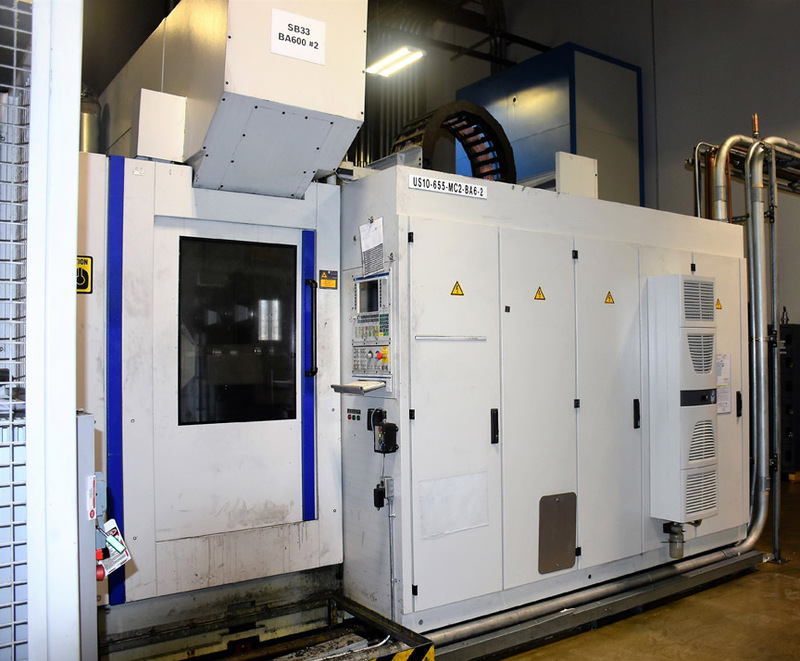 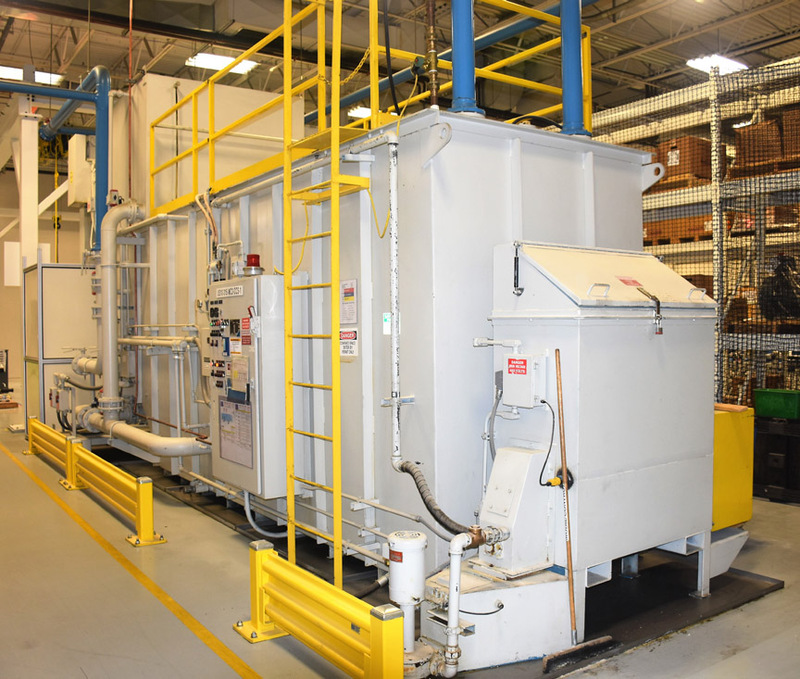 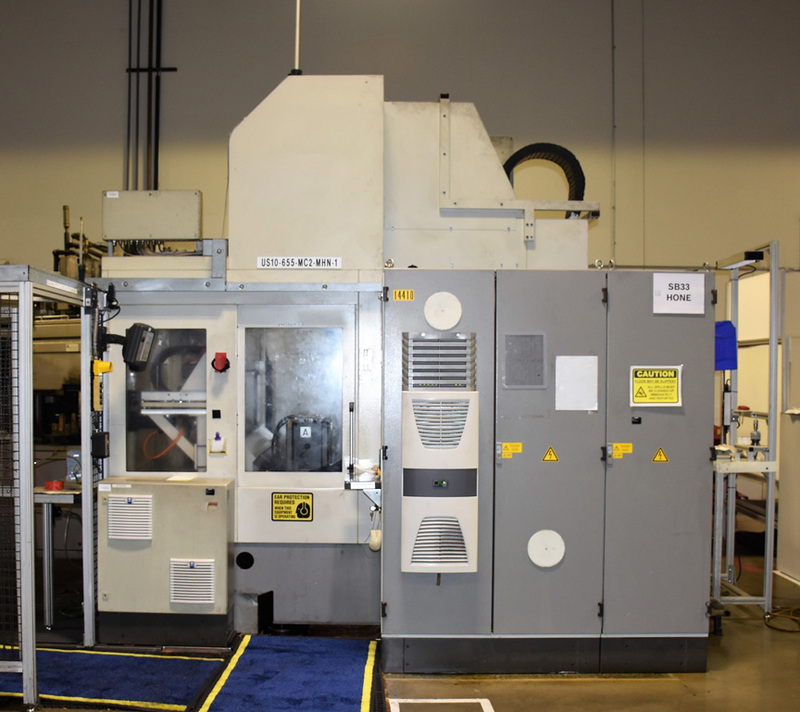 Deckel Maho DMC80H CNC HMCs, SW (Schwabishche Werkzeugmaschinen) BA-600-2 4-Axis CNC HMCs, Greenerd HPB-25 25-Ton Presses, Mafac Palma Washer Systems, MATEC-30 SD CNC VMCs, Proceco RDB-700 6-Axis Robotic Cleaning and Deburring System, Hydroflow HSF6000 Coolant System & More! 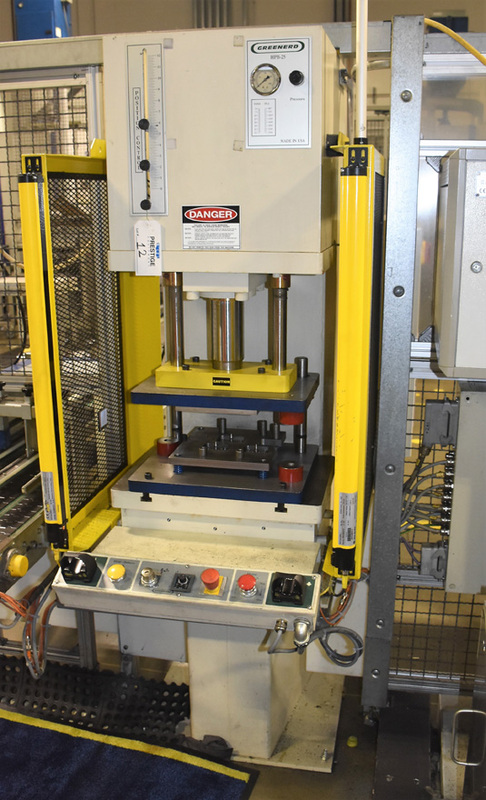 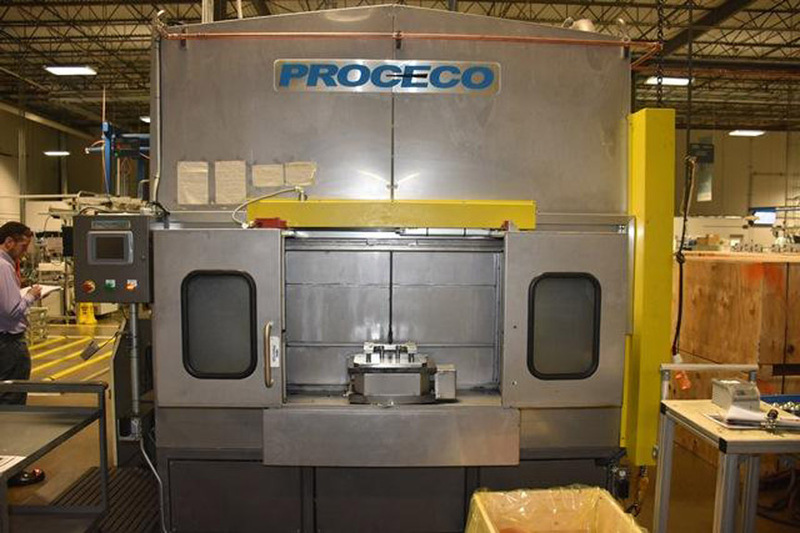 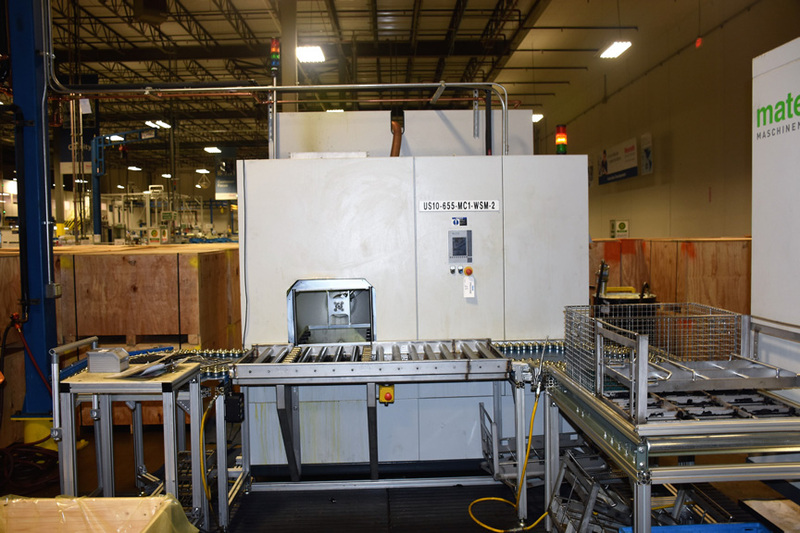 Proceco RDB-700 6-Axis Robotic Cleaning and Deburring System, S/N: 12-507. 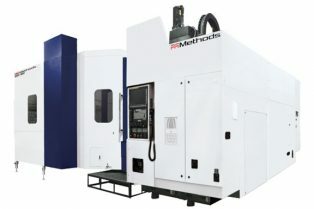 100 KG loading capacity, 1320 liters, 30 KW Heating Power, 75 Degrees Celsius Temperature;42.83″ Working Envelope; 600 Lb. 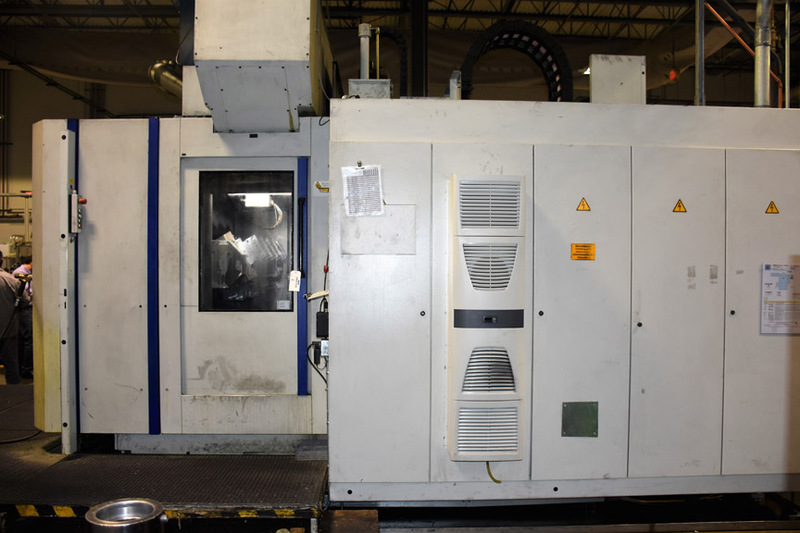 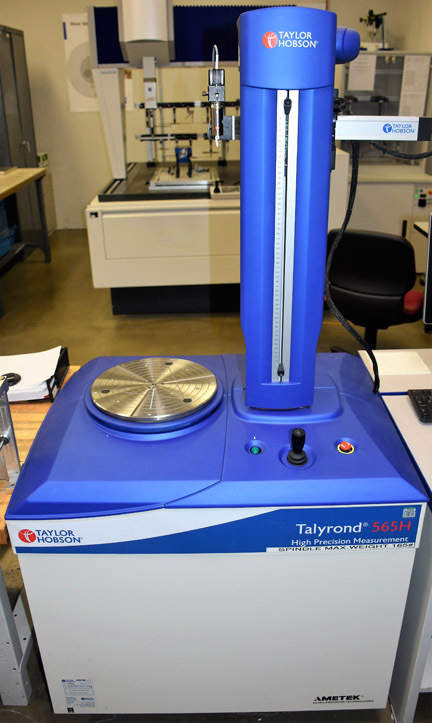 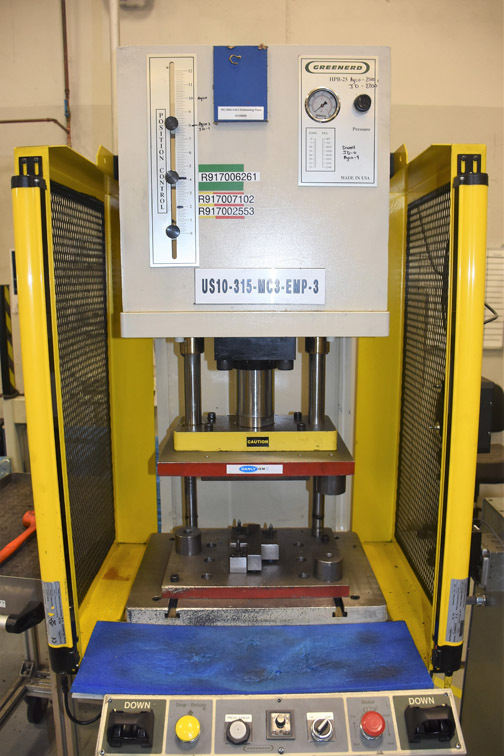 Weight Capacity per Side of Pallet; 14″ x 16″ x 25″ Max Part/Fixture Size; 80 PSI; 40 SCFM; 6-Axis Fanuc M-710iC Robot; Fanuc R-30iA CNC Ctrl.